Trying to find pubs in Angus? You’ve come to the right place. We’ve got every pub and bar in the UK listed. 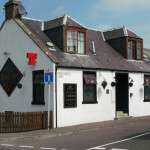 Whether you’re looking for a pub or bar in Angus to play darts, somewhere to play pool or just want to have a look at a menu before you go, we can help. The Drovers Inn is an intriguing pub and restaurant offering both a traditional Scottish inn atmosphere and contemporary fine dining. 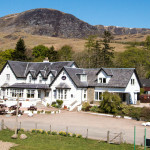 We look forward to welcoming you to our small 10 bedroomed hotel situated at the foot of beautiful Glen Doll in the Cairngorm National Park. Our hotel offers a warm welcome, lovely, tasty, fresh food prepared lovingly and best of all, genuine hospitality. Gairie Inn in Kirriemuir has a beer garden. The pub has an outside area, it has a dart board. Gairie Inn has DJ's. The pub has karaoke, it has live music events. Gairie Inn holds Poker Nights. The pub has a pool table, it holds quiz nights. Gairie Inn shows football on TV. The pub has terrestrial TV. 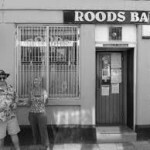 Roods Bar in Kirriemuir holds quiz nights. 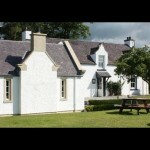 Panmure Arms Hotel in Edzell has accommodation. The pub has a beer garden, it has a function room that can be booked. Panmure Arms Hotel has an outside area. The pub has a dart board, it has live music events. Panmure Arms Hotel has a big screen. The pub shows football on TV, it has Sky Sports. Panmure Arms Hotel has terrestrial TV. 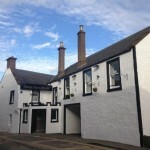 Plough Inn in Forfar has a function room that can be booked. The pub shows live comedy, it has a dart board. Plough Inn has DJ's. The pub has karaoke, it has live music events. Plough Inn has a pool table. The pub holds quiz nights, it shows football on TV.